Jinchang "city of nickel ore" in Northwest China's Gansu province has found ways to balance its industrial capacity by establishing more eco-friendly industries. Jinchang city has the third most abundant nickel ore reserves in the world and is often referred to as a "city of nickel ore". It produces more than 90 percent of the country’s nickel and platinum group metals. However, the exploitation and utilization of mineral resources can result in pollution and environmental problems. In order to achieve sustainable development, Jinchang has developed a flower industry, photovoltaic industry and modern agriculture to balance out its mining industry. After bringing in lavender in 2014, the city now has over 20 hectares of the flowers. The city now boasts the honor of "flower city in North China" and the "livable city" after years of transformation. The city government has promoted four new industrial chains, including becoming a location for weddings, rural tourism and flower sightseeing; establishing a manufacturing chain for flowers and essential oils, washing products; producing nectar, pollen and other bee-related products as well as using flowers and plants to produce coloring pigments. 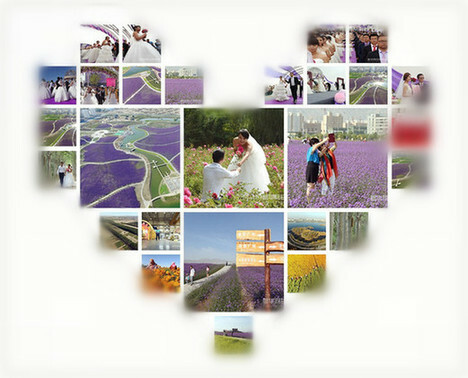 Among all the new areas of development, Jinchang's wedding tourism has boomed in recent years. The city has constructed a square, garden and hotels specifically for wedding photo shoots and banquets. The convenient infrastructure has attracted several wedding companies to settle in the city, such as Romance Wedding Co. Since Sept 2015, 285 new couples have wed in Jinchang. According to its tourism bureau, more than 2.79 million people visited Jinchang in 2015, an increase of 22.63 percent year-on-year, yielding 1.4 billion yuan ($209.86 million) in revenue, 25.07 percent up on the previous year. In the first half of the 2016, the city has received around 1.64 million visitors making 823 million yuan in tourism revenue.